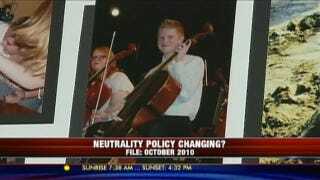 Minnesota's Anoka-Hennepin school district has become infamous for its policy of "neutrality" regarding LGBT issues — teachers aren't supposed to tell students that gay people deserve equal rights, or that they're not. After two lawsuits and a cluster of student suicides, the district has finally changed the policy. But the new one isn't that much better. We are at a crossroads. You either cave in to the demands of the homosexual activists, an action that will make our schools unsafe for all kids, or you stand firm and protect the children. The kindest word I can think of for someone who can say this after nine student suicides in two years is: delusional. And the fact that folks like Barb exist in the district pretty much ensures that gay students won't be truly safe for a long time to come.